Trump Engages In Harsh Anti-Muslim Rhetoric But With London Terror Attack Against Innocent Muslims, Silent…Sad!!! Donald Trump has a well documented history of anti-Muslim rhetoric throughout his campaign and presidency that was backed with anti-Muslim action with his Muslim travel ban currently several times denied by federal courts. With every terror attack aimed at Westerners, Trump has deliberately emphasized the phrase “Radical Islamic Terrorism,” and when the previous London terror attack went on a Twitter tirade in support of his ban (which would not have prevented the attack) and insulted London’s Muslim mayor over the incident. In this latest London attack which was perpetrated by a ring wing extremist in the final hour of the Muslim observance of Ramadan against innocent Muslim worshipers, Trump’s silence is deafening. In his actions, the President of the United States has sent a clear message at home and abroad that terrorism against innocent Muslims is less bothersome than that enacted by radical Muslims, and people are taking notice. 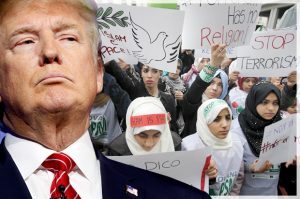 It is well documented by multiple news sources that since the election of Donald Trump, hate crimes against Muslims have spiked and continue to rise not just in the United States, but in several other Western countries. This last act of terror by a ring wing extremist in London unfortunately will not be the last and peaceful Muslims are living with a level of unprecedented fear. In light of having paid a big political price for her alignment with Donald Trump, whether sincere or not, Theresa May made a sharp departure from her American right wing, nationalist American counterpart by quickly and swiftly condemning the attack against Muslims and praising the actions of the mosque’s Imam that protected the alleged terrorist from a crowd that was angry about what he had just done to them until authorities arrived. She also made it clear that law enforcement will root out and prosecute terror with renewed vigor regardless of its source. The US President? Not so much. Not one word, not even even a Tweet from the normally Twitter happy president; only a generic statement through the White House press service that his thoughts and prayers are with the victims. Trump does not bear all of the blame for the rise in hate crimes against Muslims and other minorities we have seen since his campaign and his election. 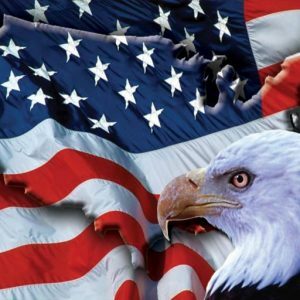 However, through his words, his actions, and his inaction, he is a big part of the problem and empowers ring wing extremists in the US and abroad who are becoming increasingly emboldened to act out violently against innocent Muslims and other minorities Trump has attacked and failed to support.